The other day we noticed another Christmas tree ad. Personally we think that is a little too early since we barely passed Labor Day and we are trying to come to grips with all the Halloween candy in stores, but to each his own. But it is an indication that the 2017 holiday season is approaching fast. 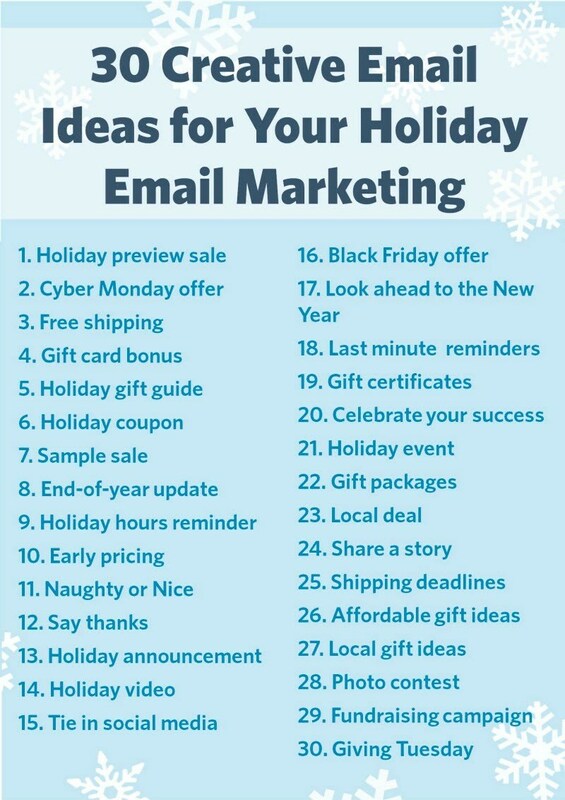 By now you should be planning your holiday marketing strategy, which needs to include holiday email marketing. 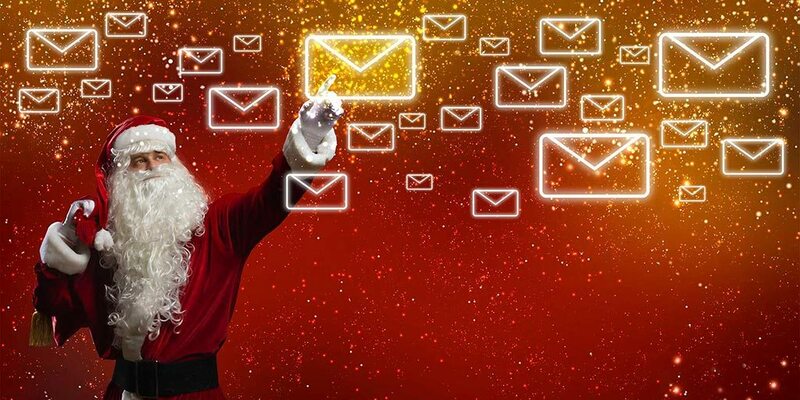 Email marketing is responsible for the most holiday sales. It generated 25.1% of all sales during Black Friday 2015. Let your customers know about affordable or local gift ideas, or perhaps offer a joint promotion with another business in your area. Think about combining several of your items into gift packages and promoting those. Include holiday gift guides or special holiday coupons. Tell consumers about any special Black Friday or Cyber Monday offers. And if you are shipping items for your customers be sure you let them know of shipping deadlines well in advance! Here is a complete list of 2017 Christmas shipping deadlines from USPS, UPS, FedEx and major stores. The holidays are a great way to connect with new customers on social media. Be sure to update and optimize your social media profiles first, however! Then tie your social media strategy into your holiday email marketing by running a photo contest (the worst holiday sweater and dressed up pets are perennial favorites!) Other ideas for social media contests include the best holiday food or cocktail recipe, the best indoor and outdoor Christmas decorations, and the goofiest holiday video. If you are a small business chances are you are unique in one way or another. So why not make that part of your holiday email marketing? Share a story, celebrate your success, and look ahead to the New Year. Offer discounts to people who come dressed for the holidays. Dress up yourself, maybe in a vintage or ethnic holiday costume. Still not sure how to do this email thing?